Italian utility Fermi Energia has signed a preliminary deal with Moltex Energy, a UK nuclear engineer, to install a small modular reactor (SMR) in Estonia. 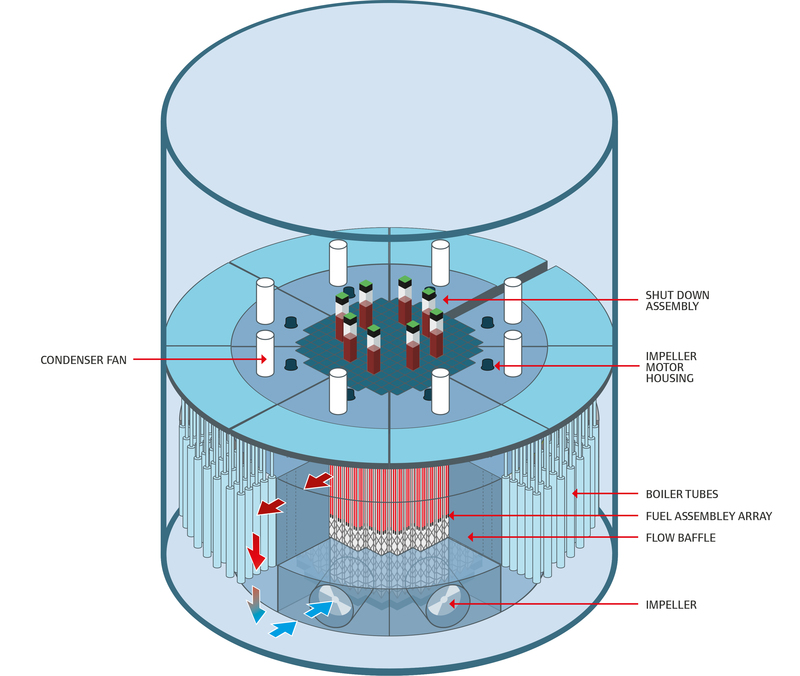 Moltex’s Stable Salt Reactor (SSR) is a 300MW UK reactor design that can use a number of fuels, including plutonium and actinides from solid fuelled reactors. It relies on convection rather than mechanical pumps to move energy from static vertical fuel tubes to the steam generators. The company says 99% of its waste fuel is less radioactive than natural uranium ore after 300 years. Estonia’s electricity system is based on oil shale, but its reserves are expected to be depleted by 2030. The country is planning to develop wind resources, but it also requires a source of base load power. London-based Moltex announced in July that it would build a demonstration of its SSR at the Point Lepreau nuclear power plant site in Canada under an agreement signed with the New Brunswick Energy Solutions Corporation and New Brunswick Power.